Over the course of thinking and writing about art and environmentalism, I’ve found myself drawn to permaculture design– the application of principles which are simultaneously creative, functional, regenerative, and environmentally conscious. How does “permaculture thinking” bridge the gap between Self, Other and Nature, and how can we apply this, in practice, within the context of our day to day activities? Which types of processes are permaculture communities developing in order to live a more engaged life within their natural environments? Wanting to learn more about the philosophies and methodologies underlying the permaculture movement, I went to visit my long-time friend, Karuna Jenkins, in hopes of discussing her work in education and appropriate technologies in South India. On a bright Sunday morning in May I set off on the road winding down into the Sholai valley, surrounded by a scenic panorama of forest and rocky grassland. For the past six years, Karuna has been teaching at the Centre for Learning, Organic Agriculture and Technology (CLOAAT,) an entirely self-sufficient educational community nestled in the Palani hills of Tamil Nadu. CLOAAT was founded in 1989 by her parents, a year before she was born, and so she spent her early childhood living on the centre’s campus. During a period of absence while studying in Bangalore and Edinburgh, she became increasingly troubled by the devastating ecological problems facing our world, and returned to Kodaikanal to dedicate herself completely to her family’s life-mission. Her work currently revolves around wellness and bringing awareness back to the body and our connection to nature – she teaches Biology and Food and Nutrition to the senior students, and Organic Farming and Hatha Yoga to the whole school. The educational model at CLOAAT is based on J. Krishnamurthi’s philosophy. In such, education is seen as the totaldevelopment of the human being – preparation for the individual to blossom and contribute to the collective blossoming of society. While many academic institutions narrow their focus to standardized milestones and objectives, a Krishnamurthi school starts out with the idea of inner transformation; working towards removing the limits of intellectual and emotional conditioning and cultivating awareness in one’s relationship to others and to our natural environment. CLOAAT’s foundation resonates with the 3 ethics and 12 design principles of permaculture, centred around harnessing and replicating the patterns which occur in natural ecosystems. In the context of farming, this means shifting away from an exploitative view of the land, and towards a collaborative approach with nature. The first ethic of Permaculture, “Earth Care,” is intrinsically linked to the second ethic, “People Care,” since human beings are inseparable from their natural systems. The third ethic, Fair Share, is also described as the ethical stance of “Return of Surplus to Earth and People,” which recognizes that resources are finite and that humans must put a limit on their consumption. Fair Share also implies equity and social justice, connecting physical ecological resources to the social systems that structure their use. Sharing our surplus, whether it be a surplus or harvest or a surplus of skills, knowledge and experience, helps foster an egalitarian society and a stable, collaborative community. As we passed the science and engineering classroom, I took a peek inside. Anatomical posters hung on the stone walls illustrating the digestive system, the muscular system, the human skeleton. An assortment of measurement tools and microscopes lined the wooden shelves among a display of projects in progress. Karuna called my attention to a mattress on the floor, explaining that the school was looking into creative ways of disposing its non-biodegradable waste. As part of this project the engineering students had been experimenting with innovative ways of recycling plastic, for example, by transforming into a fiber from which comfortable classroom furniture would be designed, or by using it to build a road. I sat down on it and testified that it was, in fact, very comfortable. As we made our way further up the hill towards the English and Math classrooms, I noticed a large vermi-shed with a ferro-cement roof. “That’s the vermiculture shed,” Karuna told me. Over the past decade, the students and staff at CLOAAT have been fine-tuning the process of decomposing organic food waste into a nutritious soil conditioner with the help of worms. 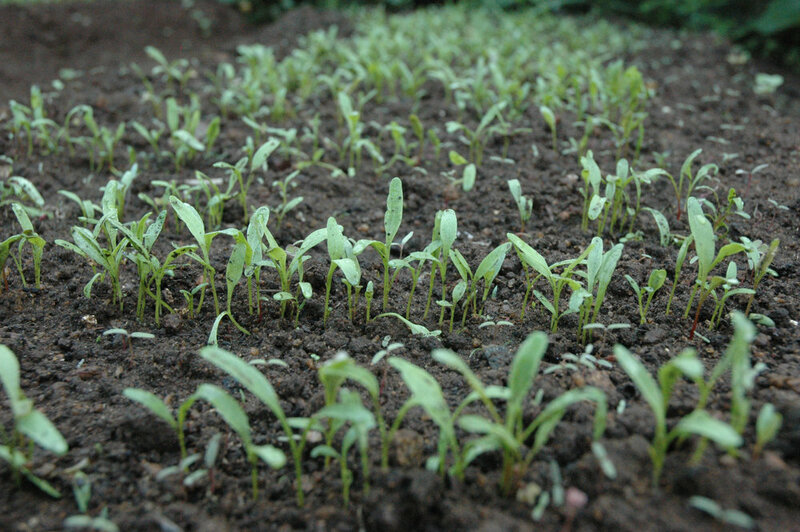 Worms are, of course, naturally present in the soil and contribute to creating a nutrient-rich environment for plant growth. By replicating the natural process in a larger scale (by propagating worm populations in decomposing vegetable waste and vermicast) one can design an effective, organic and fast way of enriching agricultural soil. It was now late afternoon and we decided to take a hike to the nearby waterfalls, accompanied by a new volunteer who had just that day interviewed for a position teaching math. The sun was beating down and the appeal of a cool dip in the river grew stronger as we made our way along the mountainside. As we walked, Karuna pointed out the different flora that compose the local ecosystem: lemongrass, jackfruit, “kachakkai,” guava trees, banana plants, pepper vines. We sat perched on a rock and waited for a 6 foot long rat-snake to make its way across the stream, before throwing our shoes across and crossing. “Non-venomous,” she reassured us midway. By the time we reached the third waterfall the sun was sinking deeply into the valley, and the sky was filling with the rich hues of dusk. We jumped into the clear pool of water, clouds reflected in the water around us. The math teacher sat overlooking the lush expanses of jungle below, and meditated. At nightfall, as we retraced our steps back over the dusky hillside, I reflected what it means to cultivate permaculture design principles in our work, our mindset, and our day to day existence. In a technology-consumed and often disembodied modernity, it is easy to forget that we are part of a larger ecological system, and that working with the patterns therein instead of pushing against them would benefit ourselves, our communities, and our natural environment. 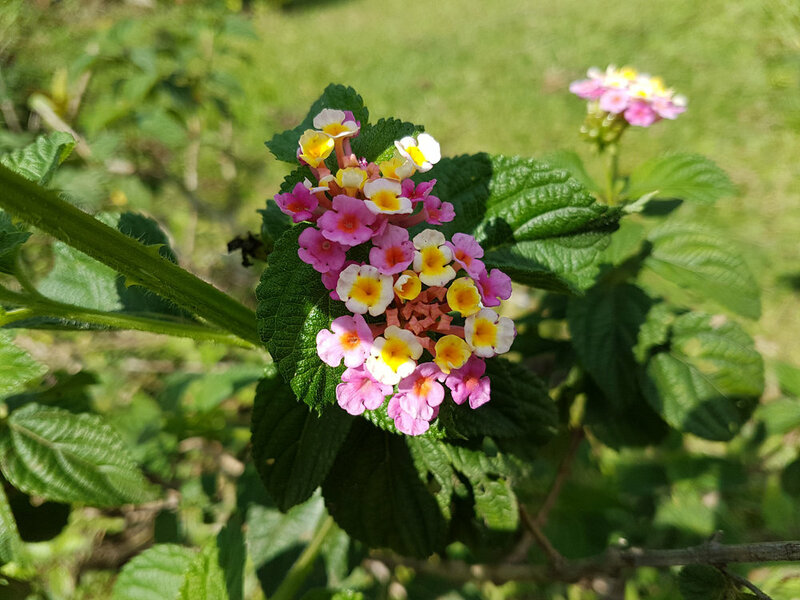 Instead of imposing ourselves on our environment, permaculture encourages us to observe the natural processes around us carefully, and to let them inspire our actions. The foundations of permaculture, Earth Care, People Care and Fair Share, are upheld by practical principles which can be applied universally, such as using renewable resources, creatively responding to change, observing, and interacting. By developing these practices we can embody the interconnectedness of life, and in doing so, our interactions with nature become more harmonious and meaningful. CLOAAT is accepting volunteers and has positions open for teachers and professionals interested in working in various departments including woodwork, mechanical engineering, building and farming. 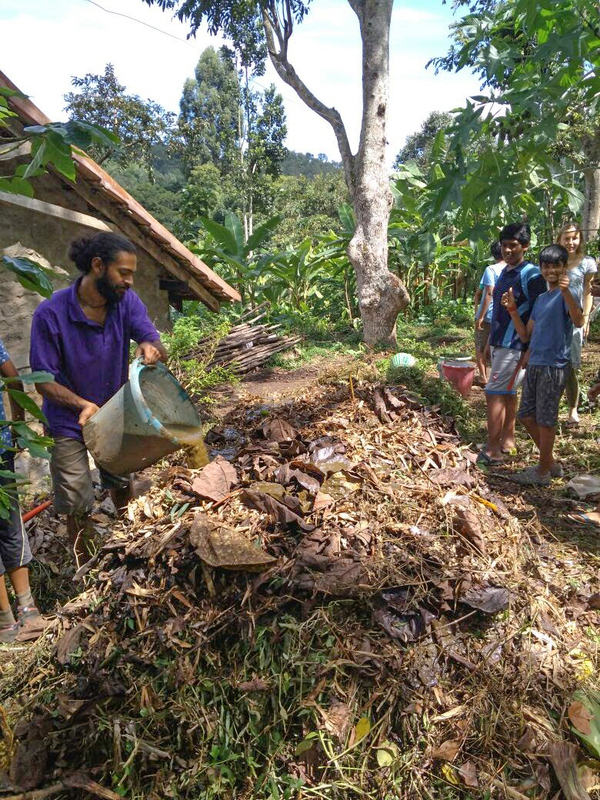 If you would like to contribute remotely, donations would also greatly help support and develop CLOAAT’s current and future projects (for example, cleaning up the waste in the nearby villages, developing organic farming programs for the local farmers, and developing bio-fuel projects). CLOAAT also offers a mature student program for individuals interested in learning practical skills such as woodwork, organic farming, electrical and mechanical engineering as well as intern as teachers. For more information or queries readers can visit the CLOAAT website www.sholaicloaat.org and/or email contact@sholaischool.in and karuna.jenkins@gmail.com.